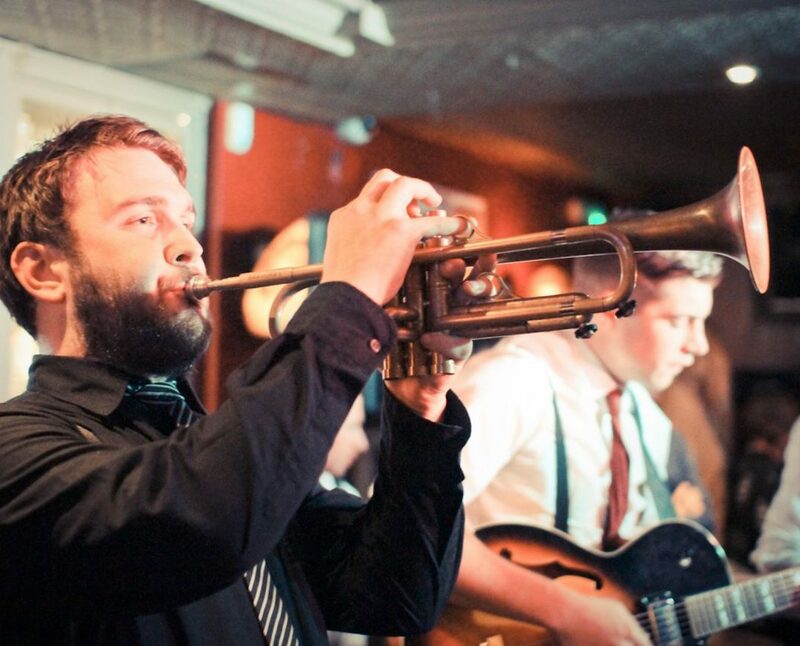 The Swingphonics are the all singing, all swinging heart of the party, getting everyone on the dance floor to songs such as the Lindy hop and the Jive so guests can dance the night away. With stunning three part harmonies, scorching horn lines and a rip roaring rhythm section, The Swingphonics not only hark back to the Golden Age of Swing with music from the likes of Benny Goodman, Louis Prima and Louis Jordan (to name but a few) but also manage to modernise their repertoire playing the occasional top 10 in a vintage swing style. 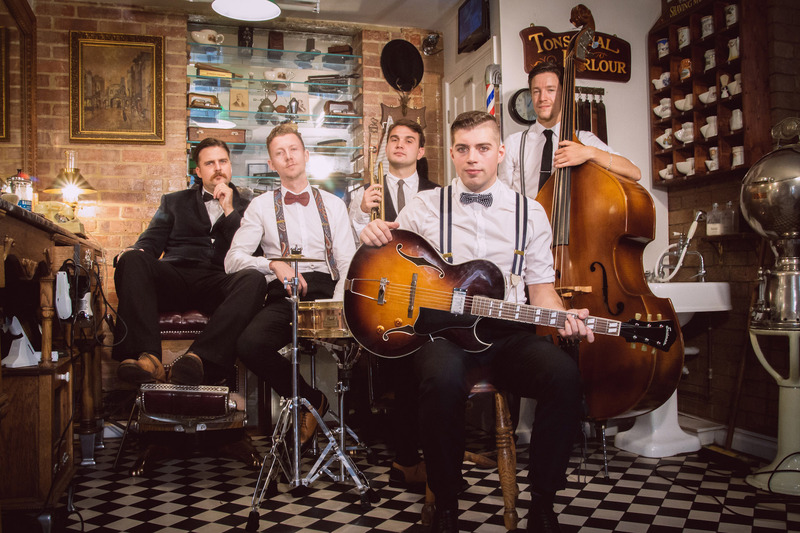 Featuring the finest musicianship from some of the countries best young jazz musicians, The Swingphonics are a sure fire hit with everyone from those pesky kids of today, to the good old fashioned old timers. "My feet haven't recovered from all the dancing. I'll be recommending you to everyone and anyone." "We have had so many wonderful comments from all the delegates, who marvelled at your incredible musicianship." "The whole place was jumping from start to finish!"